This is a large, diverse and complex site which differs sharply in overall townscape, grain, density and built form from the rest of the city and particularly from the historic core. It is primarily seen by rail users and by residents of adjacent housing areas and yet despite its size and position in relation to the centre, it is not particularly prominent in the overall cityscape. It is very much a hole in the city. Much of the study area does not engage with the positive aspects of York such as the River Ouse, the City Wall and Central Conservation Area or the Minster. Railways dominate the site not only in terms of history, artefact, sight and sound through the station, the Museum and the Railwayman’s Institute but also through employment in the various repair and maintenance yards spread throughout the site. Railways define the site but they also restrict access to it and its connections with the rest of the city. Despite this, there is a great richness of texture, history and recent archaeology in the form of buildings and artefacts throughout the area. The site is generally level over most of its area being around 11.0mOD. The highest point of the site is on Leeman Road at the entrance to the National Railway Museum where the land rises to 16.0mOD . 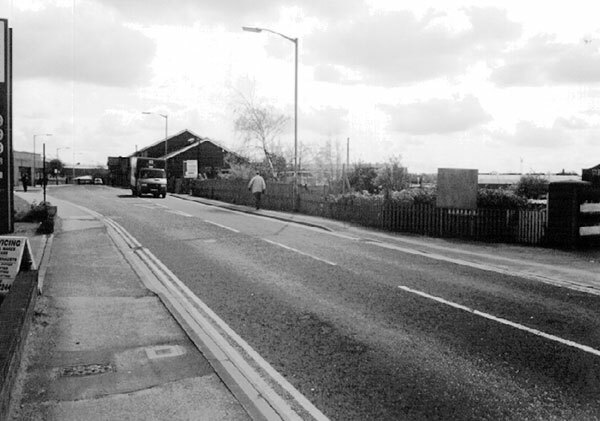 The lowest points are the underbridge accesses to the site and the short stretch of Holgate Beck which flows under the site in culvert but is open for a length of about 160m behind the British Telecom depot on Leeman Road. The site has no definable landscape structure and there are no major areas of formal open space or tree planting within the area. However, there is a small sitting area adjacent to the public house on Leeman Road and a play area at Carlisle Street. There are also some valuable trees along Leeman Road and some good individual trees in other areas which could be incorporated into new development. Other areas of scrub throughout the site could be developed into informal open space. The section of Holgate Beck mentioned above may represent potential for a small park associated with new development. 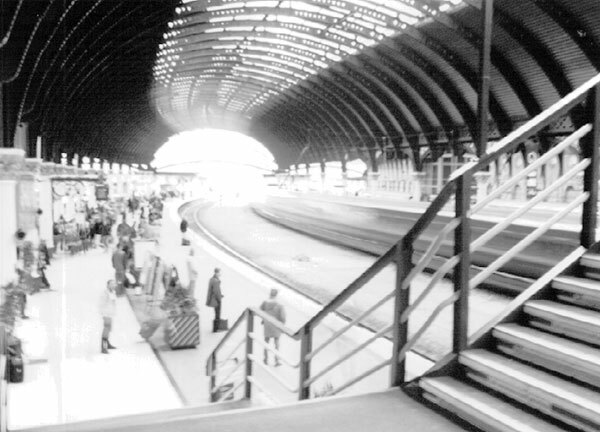 THE SENSE OF ARRIVAL: Arriving in York by train, the sense of arrival is perhaps less marked than with a number of other towns and cities along the east coast main line such as Newcastle, Durham, Alnmouth or Edinburgh. On the city side, the River Ouse and its bridges, York Minster, the City Wall and more general urban views create a favourable impression. This contrasts with the non-city views over the study area which give an entirely different picture of industrial decay and backlands. OTHER VIEWS OF THE SITE: The site is not particularly visible from surrounding roads but is overlooked by residential areas to the north, west and south. A large part of the site can also be seen from the City Wall near the Railway Institute. 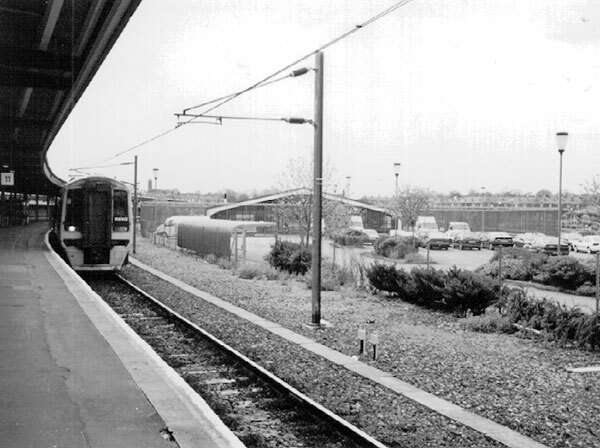 The station platforms provide closer views of the area, particularly of the National Railway Museum and of parking areas and Railtrack operational buildings. In general terms, none of these views of the site is attractive or interesting. However they are important. VIEWS WITHIN AND FROM THE SITE: There are a number of views of York Minster from within the site, particularly from Leeman Road itself and from the footbridge at Wilton Rise although these are rarely well framed or impressive. Along the eastern side of the site, the historic core and City Wall are a constant backdrop together with York Station, the Royal York Hotel and the National Railway Museum. To the south and west, residential areas on higher ground provide a reasonable degree of enclosure and set a context for the site. The northern boundary is marked by the mainline railway on an embankment which prohibits long views. Unfortunately, the River Ouse is not visible from the site although there are areas where new development could provide views of the river such as on the north side of Leeman Road. EXISTING: The site is crossed by one vehicular route and one pedestrian/cycle route. Over a site of some 60 hectares, this represents a remarkable low level of penetration and permeability. Leeman Road is the only through road for vehicles and is a direct route from residential areas to the north of the site and the city centre. It is restricted by two limited headroom rail over-bridges (3.8m and 3.6m). The pedestrian and cycle route runs from Wilton Rise across a footbridge over the Goods Avoidance Line near North Junction and creates a strong desire line across the site towards the east end of Leeman Road where it enters the pedestrian and cycle underpass below the north end of the Station known as Marble Arch. Parts of this footpath are bounded by high walls with no clear views ahead and require improvement from a security standpoint. The route is to be retained as part of the overall proposals for the site. Regardless of what other pedestrian or vehicular accesses are provided to link the site with surrounding areas, Marble Arch will remain as the shortest and most convenient route from the main study area to the city centre. GATEWAYS: Since both vehicular accesses to the site are through restricted headroom underbridges, these gateways are distinctly marked although the experience of this is not necessarily positive. There is perhaps more a sense of leaving rather than arriving and this reflects the disaggregated nature of the study area’s structure compared to its surroundings. For the pedestrian, Marble Arch is an intimidating route being over 180m in length. It is noisy and poorly lit but, while it fails to meet contemporary expectations of what a safe and pleasant pedestrian way might be, in some ways it is a fittingly atmospheric approach to the NRM. The improvement of Marble Arch, particularly for pedestrians should be an integral part of development proposals. The other pedestrian gateway to the site from Wilton Rise provides a panoramic view over most of the site. 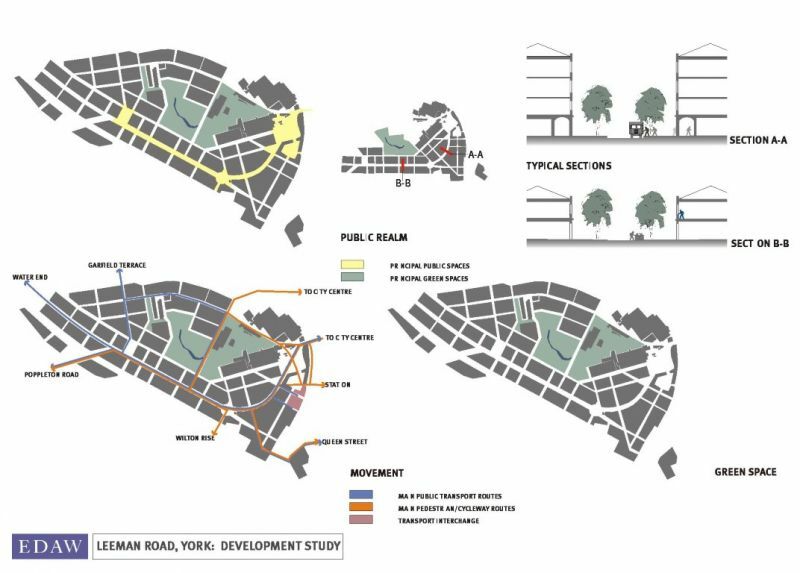 Urban design at Leeman Road, York: There are proposals for a new link road from Water End to Marble Arch and suggestions of an access from the Holgate Park development into the site. Either of these proposals would increase the scope for new development but it may be necessary to consider other links which would give a more direct connection between the site and the city centre. (covered in detail by WSP?) In terms of pedestrian access, there is a current need for improved access from the station to the National Railway Museum. At present, access from the station is confined to its eastern side but potential exists to create a new access either across an extended footbridge to the west or directly from Platform # to the entrance of Marble Arch in the proposed Museum Square. As development takes place within the site, the need for improved connections with surrounding areas will become marked and the quality of such developments will depend on integration with the surrounding urban fabric. 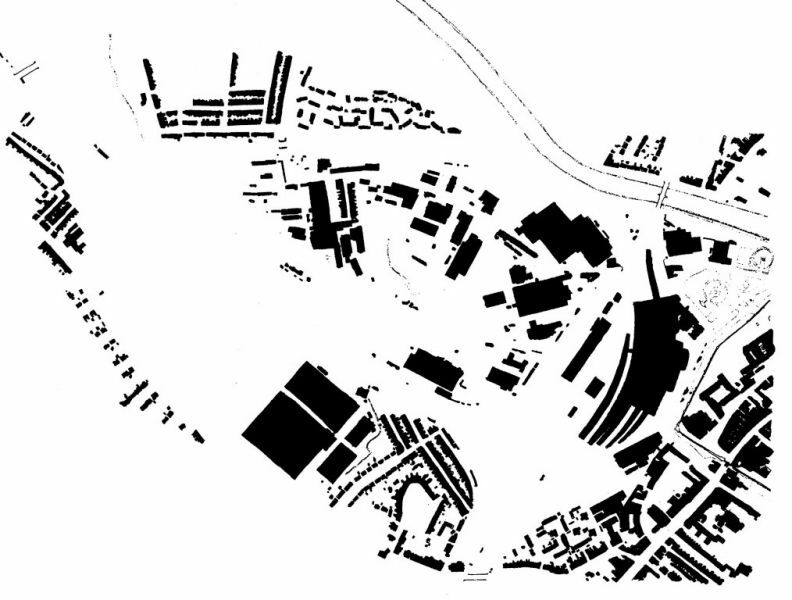 The identification of areas of distinct character is a useful means of structuring the site and determining how separate parts can either maintain their identities in terms of character, scale and materials or how they might change. For the purposes of this study the site can be split into six areas. Four of these, the Station, the Institute, the NRM section of Leeman Road and the west section of Leeman Road have distinct positive qualities created largely through the presence of significant building groups and/or uses. 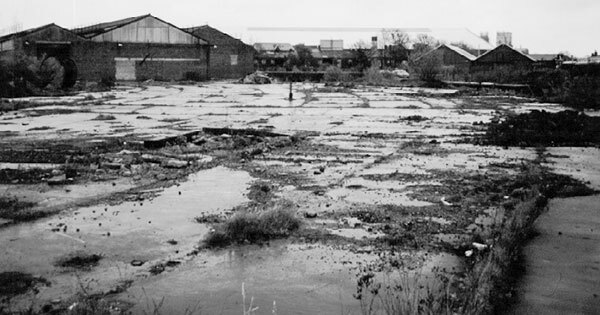 The character of the remaining two areas, the Freight Yards and the central section of Leeman Road, is more determined by their lack of positive assets. Nevertheless there are factors which are common to all of these areas. Throughout the study are there is a microlevel of incident including minor buildings and their uses, walls, surface finishes and artefacts which could be worked with and incorporated in new development thus ensuring continuity between past and present. For example, one of the options for the future development of parts of the site may be to look at ways of combining many of these existing smaller buildings and features, including their current uses, with new residential, commercial or industrial development as a means of giving the area a vitality that an across-the-board redevelopment might find difficult to achieve. It also has the benefit of ensuring connections with the heritage of the site which is important in NRM terms. York Station is one of the principal points of entry to the City and is therefore a considerable asset and one of the most important parts of the study area. The station is an impressive Grade II listed structure and the adjacent Royal York Hotel, also listed Grade II, is the tallest building on the site. Both buildings are finished in yellow brick. This building group is a significant landmark on the site and is also visible from a much wider area of the city. Internally, the train shed is an impressive structure and a fitting point of entry to the city. However the booking hall area is disappointing and, together with other parts of the station, seems overdue for refurbishment. The access point from the station is on the east side through a fine glazed portico and beyond, the attractive gardens and City Wall give good first impressions of the City. This is in contrast to the west side of the station which is marked by car parking and a number of recent single storey buildings which perhaps do not make the best use of this important site and give it an almost suburban quality. 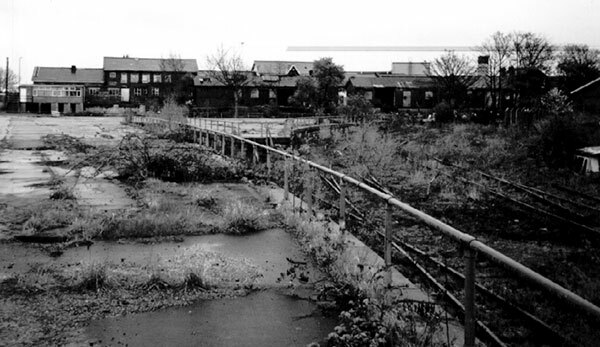 Further to the south and further west, this area deteriorates into under-used car parks and vacant railway land eventually bounded by Cinder Lane. As a principal point of entry to the city, the station is an important and dominant area. There is scope for internal improvement and externally to the west there are opportunities for positive change and development of a more appropriate scale with improved access and links to the city centre. The Institute area is a small complex site situated to the south of the station. The area has a combination of uses including commercial, industrial, residential and car parking. Many of the individual buildings are of good quality and worthy of retention. The only listed buildings in this group are the workshops and water tank to the rear of the Institute’s gymnasium. 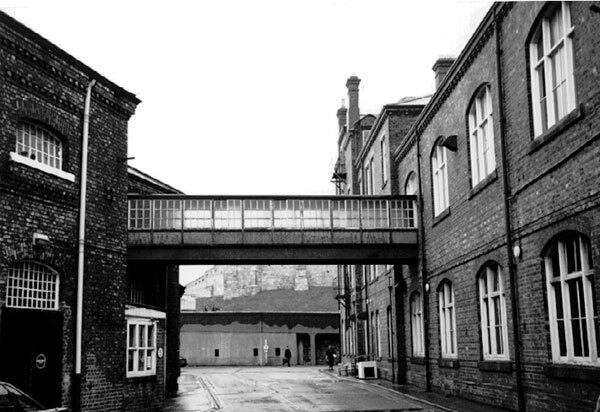 As a building group they represent a valuable piece of townscape and, being close to the railway, provide an excellent foretaste of urban York. The exception to this is a five storey office block on the corner of Holgate Road and Lowther Terrace which does not sit particularly well with its surroundings. The Railway Institute itself is a fine four storey structure and is the base for a variety of social and community activities including a club, gymnasium, snooker and squash courts. The setting of the building is spoiled to some extent by the elevated section of Queen Street which rises to first floor level on its main elevation. Between the gymnasium building and the station, extensive car parking areas have potential for development although access may prove to be a problem. As the Institute area lies outwith the railway loop of the main study area, it has better vehicular connections with the central core of the city and interesting pedestrian routes running from the Institute and nearby car parks beneath Queen Street and the City Wall to the old station area and onwards to the city centre. 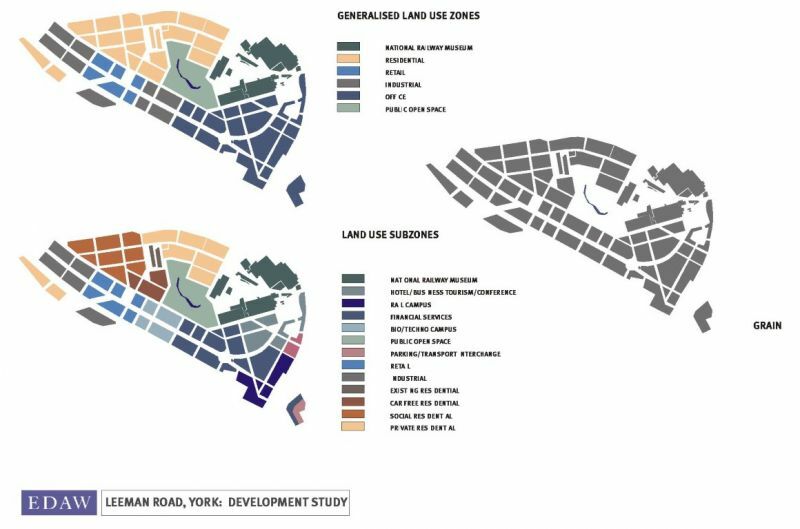 The Institute area is therefore a valuable area of strong urban character with mixed uses, fine buildings and good townscape, well integrated with urban York. As such, it is an exemplar for the wider study area. Leeman Road East, National Railway Museum: This a large rambling area split by Leeman Road and enclosed by railway to the north and east. The NRM itself is the dominant use in this area but the Museum does not have a particularly clear or cohesive image. The entrances to the facility are not immediately obvious and the impression is given of quite a private place whose activities are screened from public view. The NRM buildings date mainly from the 19th century but there are more recent structures such as the south entrance and of course the Great Hall itself which dominates the site. There are numerous good buildings throughout the area although some are vacant. The section of Leeman Road running through this area has elements of solid townscape with interesting buildings, enclosure, well framed views and, moving from west to east, a distinct sense of arriving. Away from the road, there are occasional interesting views of old rolling stock and sidings. The area around the entrance to Marble Arch is potentially a major focal point. It has a number of good buildings including an excellent corner block at the entrance to the NRM. It is well enclosed on two sides and has good short views of the north elevation of the station and the Royal York Hotel. The footbridge is an unfortunate intrusion together with an excess of pedestrian railings, signage and car parking. There is an opportunity here to create a dynamic and well-used space which could do much to integrate the NRM with the urban fabric of the city and overcome concerns that it is too inward looking. The NRM is a tourist facility of international importance and a substantial asset for the City of York. As such, it will inevitably play an important role in the development of plans for the study area. These should include consolidation of the major focal point at Marble Arch and improved pedestrian links with the station. Also there is a more general issue to be addressed about the image of the facility and the ways in which it can be integrated with its surroundings. Leeman Road West : This small area close to the north entrance to the study area is in many ways quite a reasonable piece of townscape. The 2-storey red brick housing terraces of Carlisle Street and Carleton Street are situated on one of the highest points of the site and have reasonable views over it and towards the city beyond. They form a solid building group together with the NRM buildings to the south and the Jarvis works to the west. Changes in level between the underbridge and the public house, views to the Minster, enclosure by good walls, a playground, good surface finishes, a pub with a sitting-out area and a car sales ensure visual interest. This is not a ‘pretty’ area by any means but it seems to work and has value. The ready-mix concrete depot is a landmark although not necessarily the kind that the area needs. There is potential for careful expansion of this area to the north, east and west, and it therefore represents what could be the first building block of a new development. 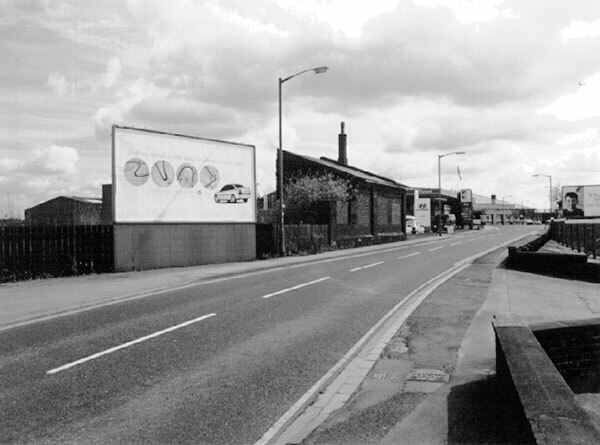 Leeman Road Central: This is an area of disaggregated townscape of mixed industrial and commercial uses, advertisement hoardings and various semi-derelict buildings dating from the last century together with more recent structures such as an office equipment showroom and petrol filling station. The area has little or no cohesive structure and contains nothing that could be regarded as being of great townscape value. This is a soft area with opportunities for new development perhaps with views over the river and potential for open space development to the rear of the BT Depot. Freight Yards: This area is comprised of extensive areas of level railway land along the Goods Avoidance Line. It has few natural features and parts of the marshalling yards are still in operational use. If the Institute area is where historical dramas are filmed, then the freight yards are where the Adidas advertisements are made. There are major opportunities for development in this area and for access improvements which may determine other development opportunities throughout the study area. 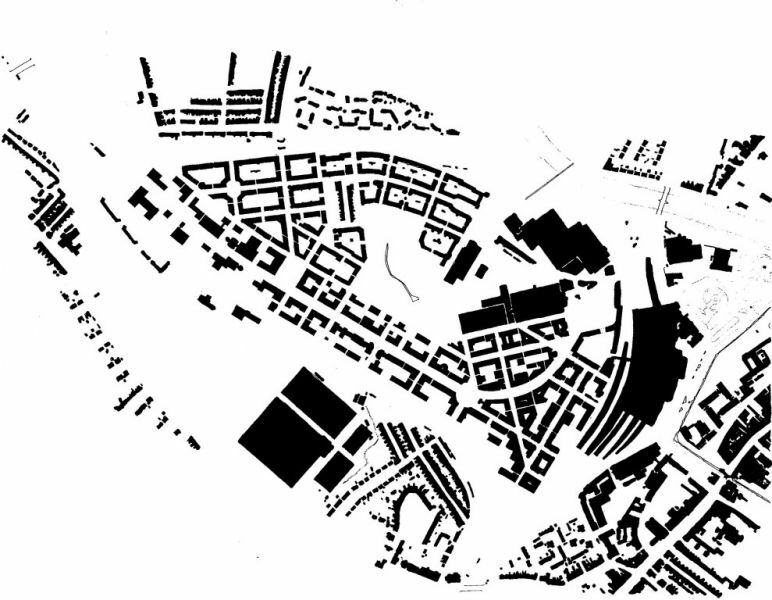 INTEGRATION WITH THE CITY: The greater part of the study area has no discernible structure of buildings, streets and spaces and therefore opportunities exist to establish a new grain and urban form, particularly in the Freight Yards, the central section of Leeman Road and land to the west of the Station. The exceptions to this are the Institute area, the west end of Leeman Road and the NRM area. 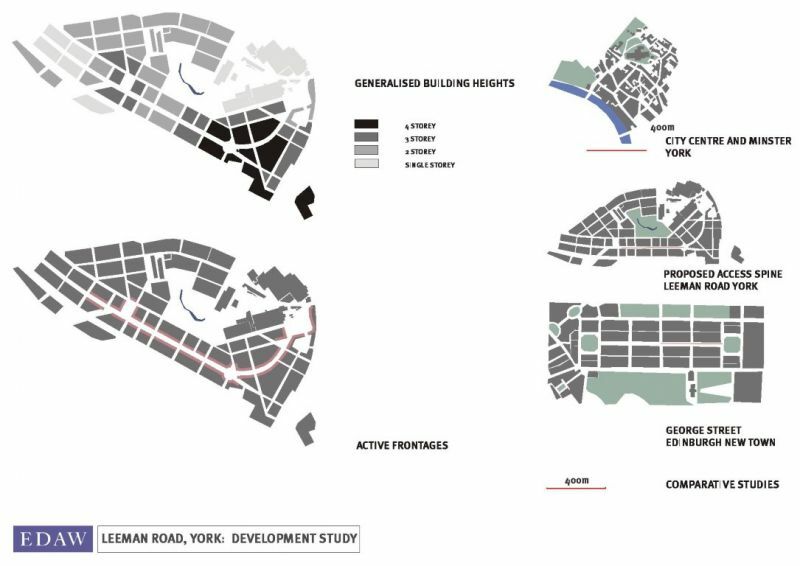 ESTABLISHING CONNECTIVITY: The main study area has very limited vehicular, cycle or pedestrian access to adjacent parts of the city and this represents a serious constraint on future development. There is therefore a need to improve permeability and connections to surrounding areas, particularly the city centre and historic core. Within the study area there is a need for improved access between the station and the NRM. BUILDING ON ASSETS: The character assessment of the site identified four areas which represent assets and which could be used to grow quality new development into other parts of the study area. These are the Station, the Institute, the National Railway Museum and Leeman Road West. IMPROVING THE SENSE OF ARRIVAL + GATEWAYS: The site creates a negative impression for visitors travelling by train and the opportunity should be taken to create a new appropriate image for this part of the city. Other gateways to the site, particularly Marble Arch require improvement. SAFEGUARDING SIGNIFICANT VIEWS: There are a number of views of the Minster, the City Wall and Historic Core from the site which require to be safeguarded and improved through better framing. In this respect, the grain and orientation of new streets and building blocks will require to take these assets into account together with other landmarks within the site. ESTABLISHING A LANDSCAPE STRUCTURE: The site has no discernible landscape structure or system of open space and the opportunity therefore exists to set out a new framework. Existing areas of scrub woodland and Holgate Beck could form the basis of such a proposal. ACKNOWLEDGING HERITAGE: The site contains three listed buildings and a number of other groups of buildings which are significant in townscape terms. There are many other smaller individual buildings, structures and artefacts, particularly from the railway age, which give a richness and diversity to the site. The opportunity should be taken to capitalise on these assets through their integration in new development proposals.